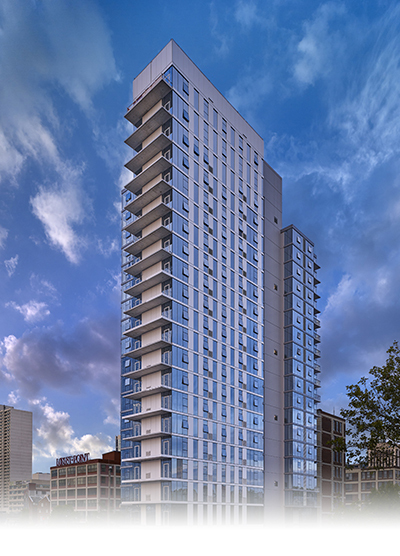 Located in the heart of Philadelphia’s historic and highly-desired Fitler Square neighborhood, One Riverside is the newest addition to the city’s flourishing luxury condominium market. One Riverview also boasts a location along the Schuylkill River Trail next to outdoor recreation, a dog park, and the Schuykill trailhead. Built by Carl Dranoff and designed by premier architect Cecil Baker, One Riverside acts as a beacon to the Fitler Square neighborhood’s place in the Philadelphia skyline. 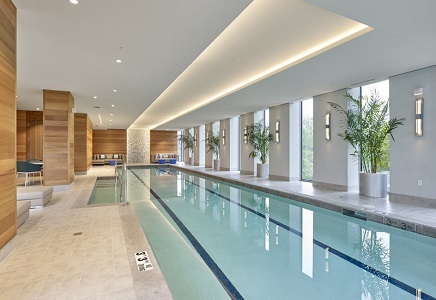 Amenities include a 24-hour concierge service, valet garage parking, lush private garden, terrace with outdoor kitchen, 60′ indoor lap pool, fully-equipped business center with executive boardroom, and a state-of-the-art fitness center. Building units feature 10′ ceilings, floor-to-ceiling windows, chef’s kitchens with premium appliances, custom countertops, and marble baths. With private terraces, scenic views, and within walking distance to Rittenhouse Square, the University of Pennsylvania, Children’s Hospital, and 30th Street train station, One Riverside boasts stylish and conveniently-located luxury urban living.